The world’s first all Nicaraguan cigar shop is now open. To commemorate this milestone, a beautiful book on the city of Estelí, its tobacco industry and main factories was also published under the same name: CIGARAGUA. 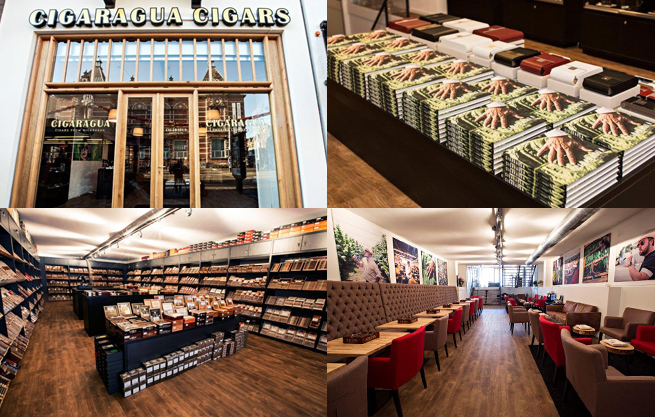 Located in the heart of Amsterdam, in Van Baerlestraat 56H, the world’s first specialist cigar shop to only sells cigars from Nicaragua will be open 7 days a week, from 10am to 9pm. 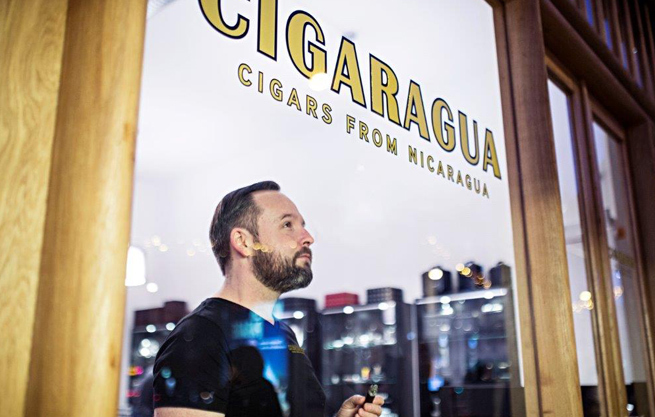 The 160m2 dedicated to nicaraguan tobacco are distributed almost half and half between a roomy walk-in humidor and a posh smoking lounge. Cigaragua carries almost 900 different vitolas from top Nicaraguan cigar manufacturers, including your favorite Joya de Nicaragua brands and sizes. Sasja van Horssen, our good friend and exclusive JDN distributor in The Netherlands, is responsible for this new venture. 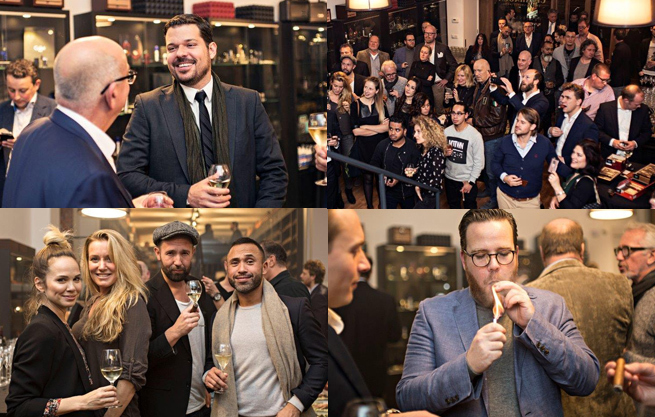 He successfully hosted CIGARAGUA’S launch on Saturday December 2nd 2016, and we were honored to be a part of it. We can’t congratulate this initiative enough! The beautiful publication that accompanies the store was written by Marcel Langedijk and features stunning photographs by Jesaja Hizkia. It takes us on a typical – but somehow special – journey to northern Nicaragua, where the picturesque city of Estelí is located. Marcel gracefully narrates encounterings and vivid anecdotes as told by some of our industry’s most important figures. Here’s a quick look. Not only is Jesaja a world-class photographer. He also managed to capture the essence of his journey on video.